Use our photo gallery for inspiration. 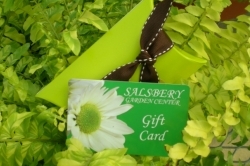 Gift cards are available in any denomination. Always in good taste, appropriate for all occasions! You can order over the phone with a credit card or stop in to purchase. We would love to see you!